Everyone will be vying for a seat at this cool new cafeteria bench table, so it's a good thing there are multiple entrance points, which make it easier for students to get seated. 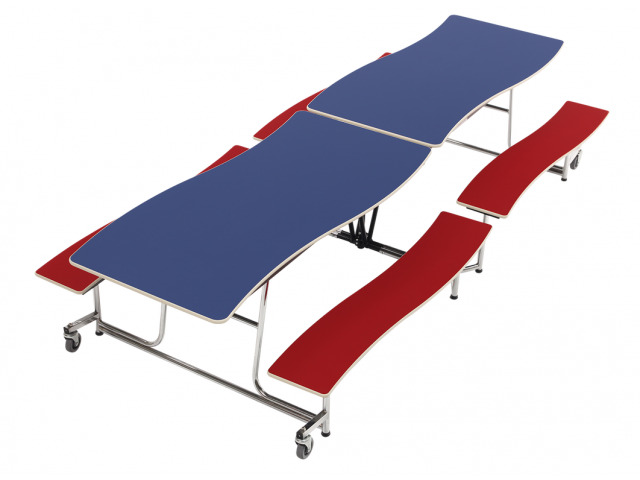 Make a splash by choosing unique Wave Mobile Cafeteria Tables from AmTab. 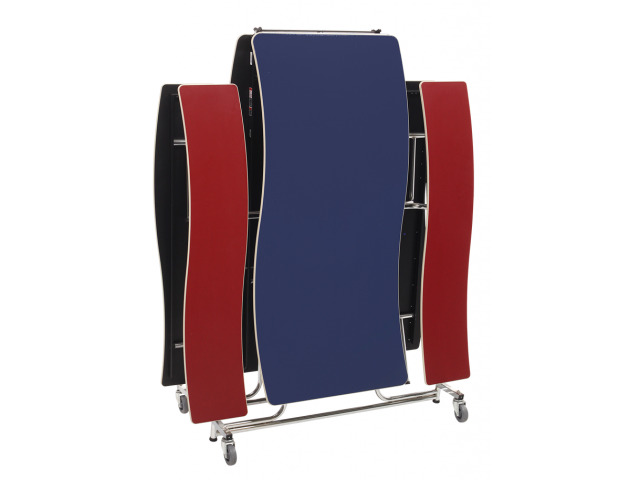 The cool contoured shape will add a refreshing twist to your eating space. 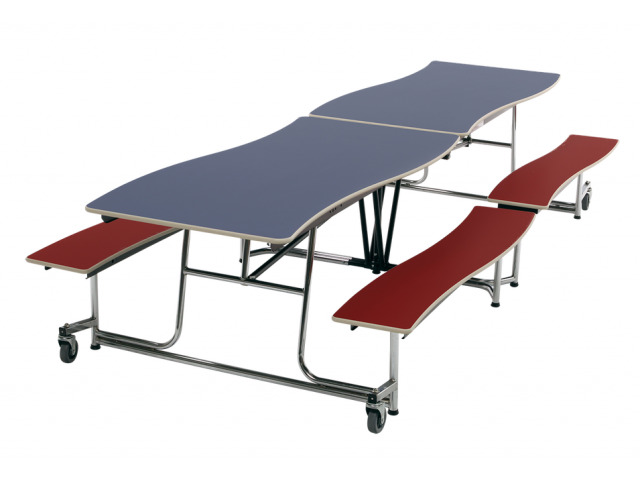 This lunchroom table doesn't just look great, it is also designed for maximum durability and convenience. 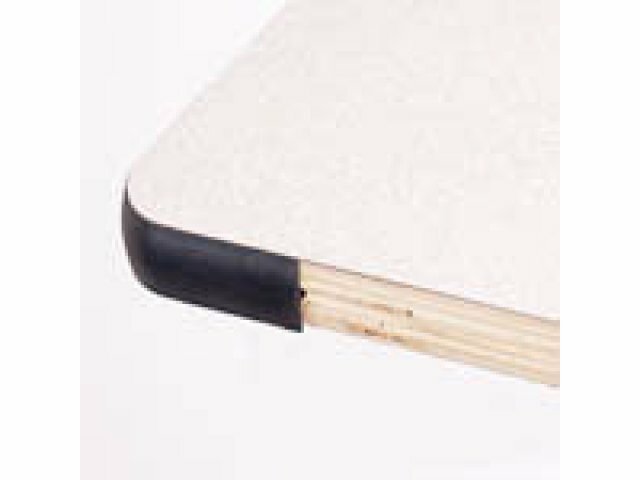 A torsion bar and high-speed gas cylinder make it easy to open the table for use, and fold it up again for cleaning. 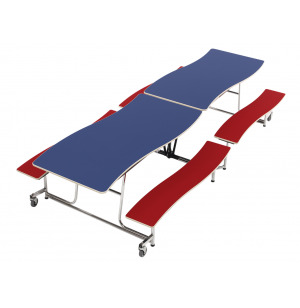 It automatically locks in the folded position, and can be smoothly opened again from either side of the table. This tough cafeteria table is built to withstand many years of constant use. 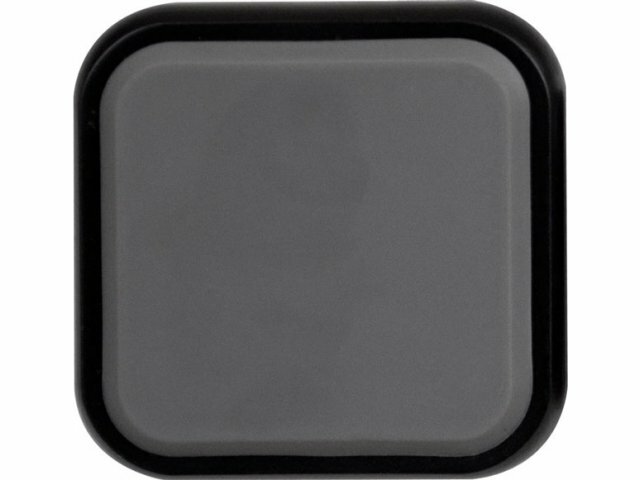 In addition to the dependable mechanism, it also features strong, 14-gauge steel construction. High-impact DynaGrip glides keep it firmly positioned when open, while heavy-duty swivel casters help guide it into place when folded. Plywood is very strong and stable. 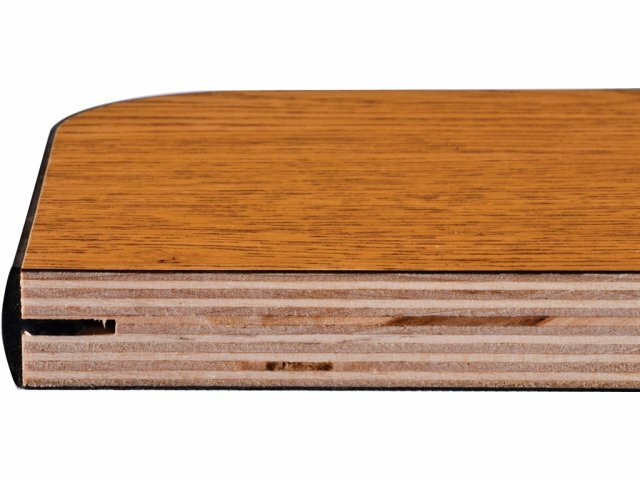 It is made from layers of wood pressed together with grains going in opposite directions to increase strength. User Friendly: Multiple access points make it easier for students to sit comfortably. Sturdy Design: Torsion bar mechanism and high-speed gas cylinder facilitate smooth opening and closing for many years to come. Strong Build: Supported by a 14-gauge steel frame. Safe Construction: Automatically locks in the folded position. Convenient: Table can be opened from either side. 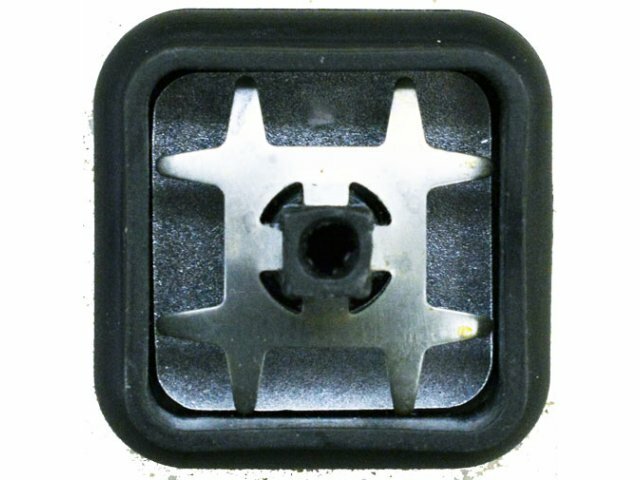 Firm Positioning: In open position, table stands on four extra-wide, high-impact DynaGrip glides, which have an internal spring and steel washer. 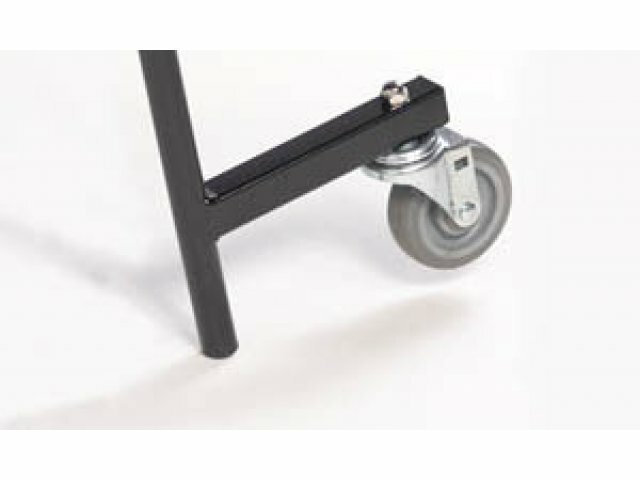 Smooth Rolling: Rolls on heavy-duty, non-marking, double ball-bearing, swivel casters, when folded.